Is there a Sterling in your Kingdom? | don't bite the apple…work is not a fairy tale! ← Even Little Ones Love the Madness! Is there a Sterling in your Kingdom? Once upon a time there was a man on top of the world. He paid off silly troubles with his millions and people kept quiet. But now, it’s 2014 and easy to tape someone being stupid, racist and an all-around horrible human being. We could talk for hours about Donald Sterling’s character flaws- starting with the fact that the woman who taped the conversation was not his wife, but his girlfriend. But bigger than that in my mind is that he’s an employer. What do you do when the person in charge is the offending party? 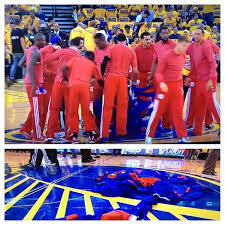 Fortunately for the L.A. Clippers, they have the NBA and an association to reprimand the owner. Protesting team members turn their uniforms inside out during playoff game. However, that isn’t the case at most companies- everyone reports to the top, and, as much as some employees would like, you can’t fire the boss. I watched the Anderson Cooper interview last night and was horrified at almost everything this man said. I couldn’t believe the people around him let him speak in public. If he were my boss and I was his HR person, I would have him locked in an office writing apology notes and checks to charities. Actually, I would never be his HR person; I couldn’t work for someone like him. At a previous position, I had a new manager tell me he was used to having “girls” to do his correspondence. And once, while in a meeting with a colleague, he came into my office and asked us “if we were going to wrap this up soon and get back to work.” We were working, but, because we were women, we must have been gossiping. I knew I couldn’t work for someone like that for very long. There are people out there just Donald Sterling; they are business owners, managers and employees. It is your job to know the liabilities and how to handle a situation if one those people are on your team. An owner like Sterling could be held accountable under Title VII of the Civil Rights Act of 1964 for creating a hostile work environment. “Any of his employees can claim that by learning of his [racist] comments, views and beliefs, that they view the workplace as hostile,” said David Lewis, president of OperationsInc who has trained workers about harassment for over 20 years. 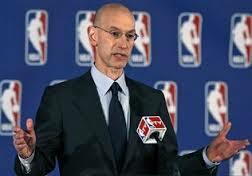 Adam Silver took control of the situation to ensure the league was not exposed to further liabilities. Anti-bias laws can also create greater liability on the company’s part if an executive or owner is at fault, including liability for punitive damages. All of these liabilities also apply if these actions are committed by a manger or senior executive. As I watched this unfold, I keep wondering why this took so long to come out. Where were his executives and his HR people? He couldn’t hold it together for an hour, so I can’t imagine how he did for 20 years. More important than how to deal with a situation, you need to be proactive in avoiding an uncomfortable or hostile work environment. As an owner or manager, it’s your responsibly to be aware of the atmosphere of your workplace. Get out of your office several times a day so people are used to seeing you. Eat lunch or take a break in the lunch room at least once a week and don’t talk about work. Ask your employees about their interests and their families. Observe your managers and see if they are interacting and how their employees react around them. I can tell you that if my boss noticed the tension around that manager and the staff in my former position, things may have been different. If employees feel part of a team, they will report issues no matter how uncomfortable. And trust me that you want employees to come to you so you can try to solve the problem internally- because once they leave or call a lawyer, it’s too late. Have you ever had a situation with a Manager or Owner that created a hostile work environment? How did you handle it? This entry was posted in Management and tagged Adam Silver, Discrimination, Donald Sterling, employees, human resources, leadership, Magic Johnson, NBA, racism, Sterling. Bookmark the permalink.